July was above the average as to the temperature (+1,5°C compared to long-term average) and as to the precipitation as well. Precipitation were caused by summer storms and therefore the differences in precipitaion among individual localities were substantial. Rainfalls came mainly during the second half of the month and balanced the moisture deficit of the previous vegetation period. 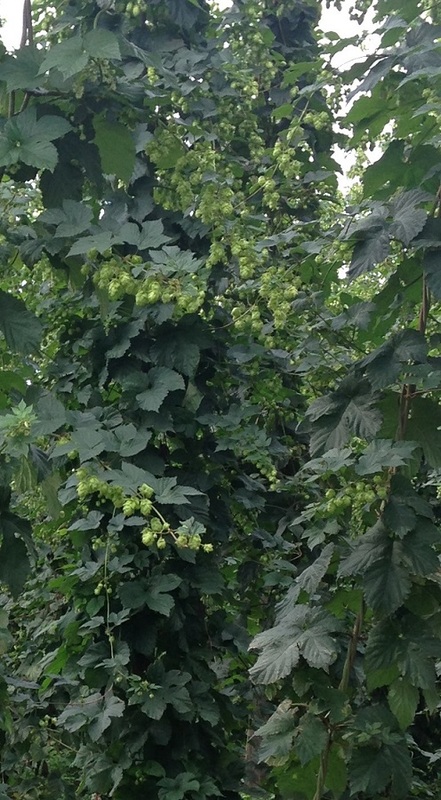 By the end of July plants of Saaz semi-early red bine hops were in the phase of cones creation when nearly all the cones were created at majority of hop plants. Hybrid varieties were in the phase of full blossom or beginning of cone creation. The hop plants are in a very good condition. Hop aphid was completely eradicated by aplication of aphicides and its occurrence has not been noticed any more. Chemical protection against Red spider mite was applied at least once at all the areas. However there exist localities where the treatment against Red spider mite has been done already three times. It proves the local occurrence of that pest. In July the chemical protection against Peronospora continued as well; the fifth or sixth treatment against downy mildew was done.The spread of infection worsened in the second half of July as a consequence of the higher air humidity.